Monitoryour daily workout activities including steps, distance, calories and activitytime. Thefitness watch automatically monitor how long and how well you sleep at night,by reading all these sleep metrics you can get to know your healthcondition. Pairthe fitness watch with our smartphone App, you can set alarms, sedentary alertand incoming call notification. IP67level waterproof means you can wear the bracelet in rainy and stormy weather.It also resists 1-meter depth water and splash in daily. 【ALL DAY ACTIVITY TRACKER】Record daily activities, steps, distance, calories burning, activate hours accurately, combine with more advanced algorithm . 【IP67 WATER RESISTANCE】sweat, rain, splash proof. You can wear fitness tracker in the shower, but we recommend rinsing and drying it afterwards because it's best for your skin if the band stays clean and dry. Battery life: lasts up to 5 days; Charge：Built-in USB simplifies the way you charge. 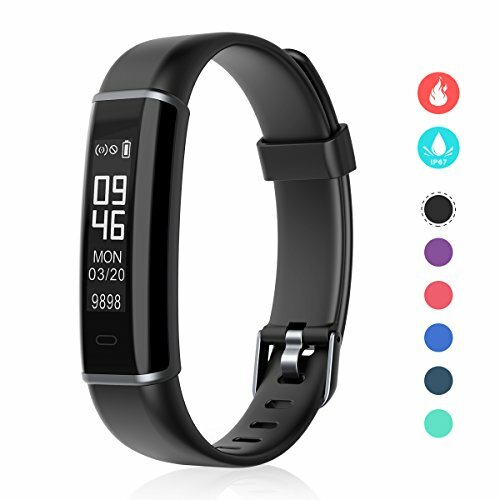 【SMRAT MULTI SPORTS MODE】Syncs automatically, It can be real-time monitoring, including walking, running, riding, workout, hiking, mountain climbing, skipping, basketball, badminton and so on, more than ten kinds of sports activities. At present, you can view the movement data on the smart bracelet screen or APP. 【REAL TIME SLEEP MONITOR AT NIGHT】 Comprehensively analyze data such as sleep duration, sleep depth and wakefulness sleep, guide you to improve sleep quality, accompany you each sleeping night. 【CALL / SMS /SNS NOTIFICATION】 you can view call ID, messages comments on screen. Without take out the phone from your bag or pocket. Download the APP（veryfitpro） to your phone to come true more functions. If you have any questions about this product by EFOSHM, contact us by completing and submitting the form below. If you are looking for a specif part number, please include it with your message.